This corei64 folk produce custom 3D printed items, many of them are cases for small cards like the WiModem(s). Below is the link and some pictures of mine. Here is the case and little Allen wrench you use to open and put back together the case. Here is the case in action. I put a piece of paper over the light to reduce the glow for the picture. YELLOW light ready; GREEN light connected. I had an issue connecting to bbs.impakt.net but thanks to Mike Whalen’s article in Juice.GS March issue it is resolved. As it turns out a few BBSs front end their systems with code to make sure you’re not a bot. DJs Place above is one of those. To handle this you need to enter the AT*T1 telnet command at some point before dialing. Below you’ll see the series of screen shots I go through as it takes a few steps. First go to Online mode via Apple or Option-T and issue the AT*T1 command. Then go offline the same way. 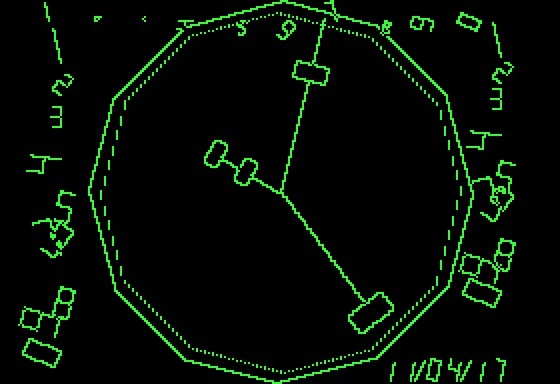 You’re now at this screen (I’d already issued the command earlier). Now, go to your stored entry and select the BBS like Impakt BBS. Your dialing screen will pop up, you click on dial. In my case it actually does connect. You can see it on the OLED. But ProTERM doesn’t think so. And the screen says your still OFFLINE. Cancel out of those two screens. Enter Apple or Option-T to go back ONLINE. Hit the enter key and you’ll get the screen below. Then you’re on your way. 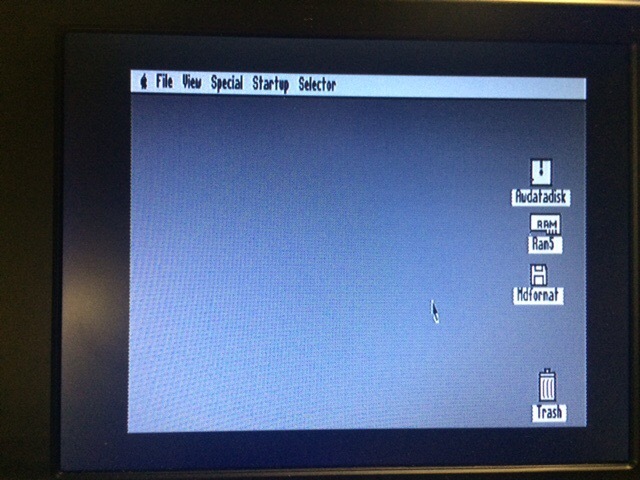 There may be a faster way, like entering the BBS name from the command line itself. I’ll have to play with that. The serial cable from IIGS Modem port to WiModem232. Note: you have to supply your own 5v USB power connector. With all those old phone charger cords I’m pretty sure you’ll have one. My cord came from a camera card hub. You know, one of those hubs where you can plug a CF, SD, XM, etc cards in to transfer pictures or files to your computer. Connecting with ProTERM v3.1. The link is below with the other links. Connected to my Netgear router. Note: Please see the V2 in the upper right hand corner. This is the latest version. 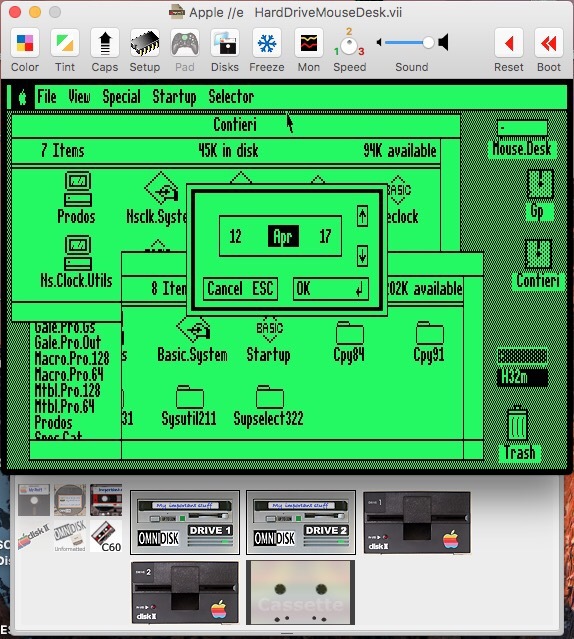 It’s plug and play with the IIGS. In the manual you can ignore pages 19 through 21. Here is the parameter screen I have set for each site as reference. Here are a few more screen shots. The one issue I had was when I tried to use the xfinitywifi router/modem supplied by Comcast. 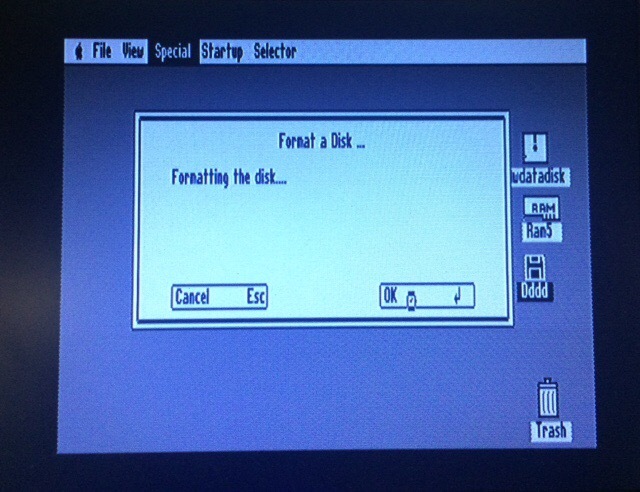 It allows you to connect the WiModem232 to the router but no further. I struggled with this before I just switched to connecting to my NetGear router SSID Smudge. Then everything went fine. Here is the link to the manual. 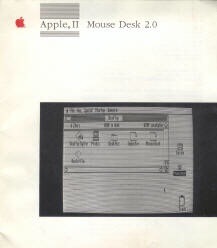 Here is the site to get the ProTerm software for the IIGS. Here is the link to the disk image containing the ProTerm software. Just ordered a case for it. Coming from Canada. I’ll let you know results. They have 2 resolutions. The standard one is $2 less. Here are some pictures of me connecting to a couple of the BBSs I frequent. I ran across method by accident when I tapped on a link and my browser opened. To get a proper ansi display I had to set Terminal language encoding to Latin 1 Dos. This is done in the Terminal preferences. 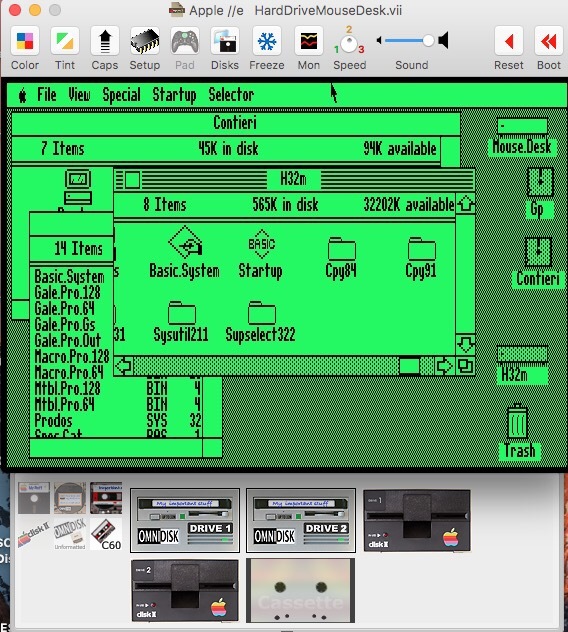 The A 80s Apple BBS actually runs on an Apple II. Play the video to see the boot process. 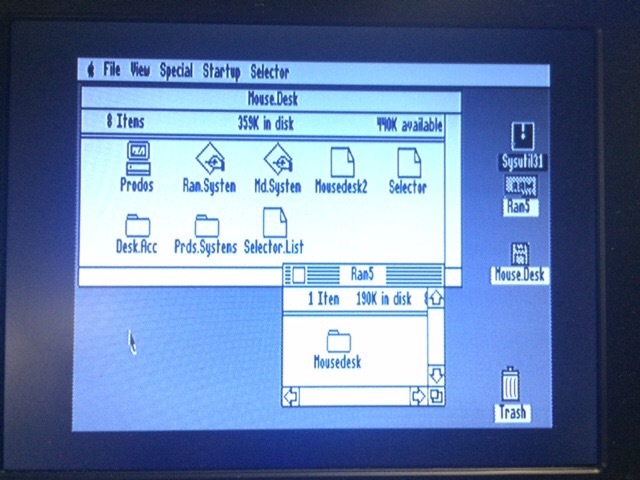 Using drag and drop to copy AppleWorks 3 folder from one Drive to another. 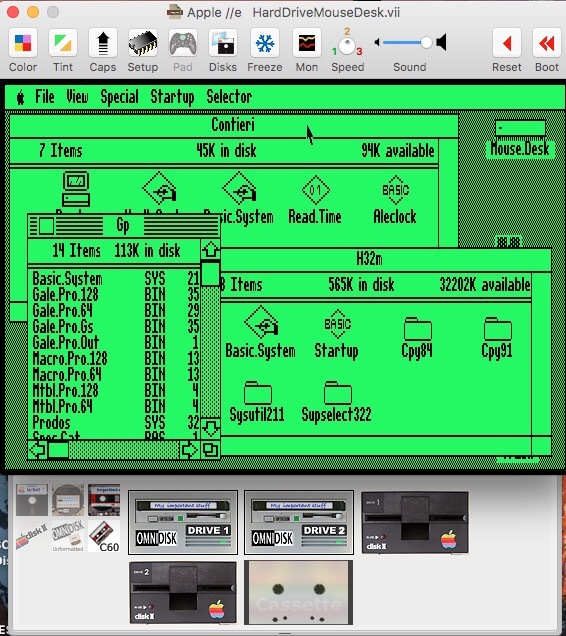 Created a physical 3.5″ disk using ADTPro from my MacBook to IIGS. Then booted on Laser128EX. 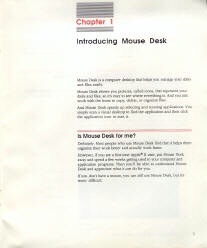 completed if you remove the MouseDesk disk. 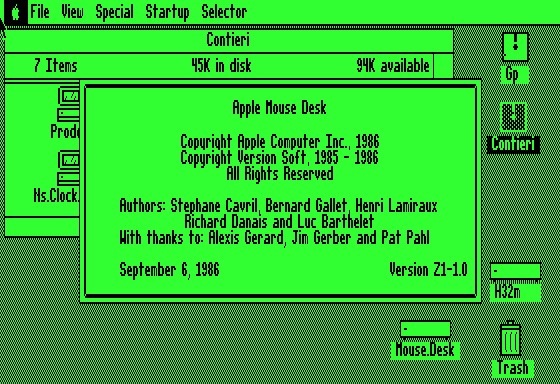 same slot where I removed the MouseDesk disk. image. I ended up making a couple back ups of the disk. You are currently browsing the The VintageGeek Blog blog archives for April, 2018.